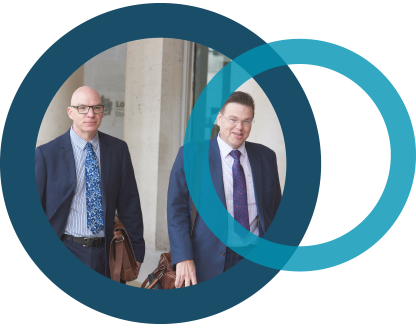 We worked with the Trustees and Senior Management team of one of the largest Master Trusts in the UK, to formulate their approach to the new requirements to be Authorised by the Pensions Regulator. We also provided the Trustees with a training session on the background, the requirements and our initial findings of the scheme’s position relative to these. We then worked with them to produce their Readiness Review , with specific focus on their Business Plan and Continuity Strategy. Unlike many schemes, this involved treating the Readiness Review as a full dry run for the Authorisation process resulting in highly detailed and extensive documentation. We have provided trustee services to a DC master trust as an independent Trustee . This has covered regular governance areas including administration and investment performance monitoring, production of Trustee Report and Accounts and ‘Value For Money’ judgement for the Chairman’s DC Statement. In addition, we have been involved with specific projects including: investment review to allow for pension freedoms, review of member communication materials, update of annual benefit statements , administration issues following failure of the administration system to implement lifestyle switching correctly, detailed discussions around the wind-up of the scheme and related costs and potential transfer vehicles. We undertook a significant project to analyse the position of a large DB/DC hybrid scheme of a FTSE-30 organisation against all of the relevant Pensions Regulator’s Codes of Practice , including the latest Code 13 for DC schemes. This included an initial detailed summary of the content of each Code and specific requirements of the sponsoring employer and the Trustee. We then compared the current practice of all elements of the way the scheme was being run with the requirements of each Code of Practice. This covered administration procedures, pension team staffing requirements, trustee documentation, member communication materials, trustee and support staff training, trustee nominations, investment review and monitoring procedures, processes for payment of contributions, internal controls, all requirements in relation to a significant change to DB accrual, internal disputes procedures, revisions to the Scheme’s Contribution Schedule and Statement of Investment Principles and general legislative requirements. The review lead to a number of changes being recommended and implemented together with formal procedures designed to maintain full compliance with the Codes. We worked with a very large hybrid DB/DC scheme to communicate the impact of the change in Lifetime and Annual Allowances. This included an analysis of the membership for potentially impacted employees, drafting of relevant member communication materials and numerous employee presentations and 1-1 sessions. The outcome was a number of impacted employees claimed the relevant HMRC ‘protection’ and, where appropriate, withdrew from ongoing pension accrual. 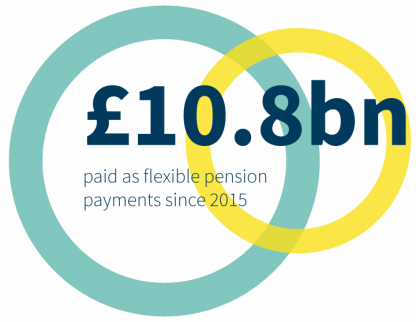 We performed a significant piece of work to fully compare the merits and otherwise of the National Employment Savings Trust (NEST) with The People’s Pension (from BC&E). This covered areas such as brand and durability (including a detailed analysis of their financial positions), assets and memberships, “quality marks”, administration systems, auto-enrolment support, investment default and wider fund options, member and employer charges, at retirement options, and member and employer communication materials. This enabled our client to make a decision as to the future provision of their auto-enrolment scheme for many thousands of their employees. In each case, members have benefited from enhanced investment and communication options and the sponsoring employer has seen a reduction in the running costs of the arrangement. We have helped a number of clients review the DC investment fund options for their trust and contract based arrangements following internal changes (the merger of two DC schemes) and external changes (new market innovations and the pensions freedoms). This included consideration of the make-up and presentation of the default fund and wider fund options . In addition, the approach to ‘lifestyle’ de-risking was looked at in detail e.g. traditional lifestyle , target date funds etc. with specific reference to the options needed to be offered to members to allow access to pension freedoms. We then considered how the changes were to be communicated to members focussing in particular on trying to ensure that members understood not only the risks inherent in the various options but also the potential consequences (both good and bad) of investing in a fund with a specific risk profile. We worked closely with a major asset manager to design and implement a DC proposition . Background, context and size of the DC market in the UK and predictions for the future. Innovations in the DC market over the last 20 years (successes and failures). Propositions of the major current providers (investment managers, insurance companies and consultants). Industry best practice approaches to administration, communications and decumulation services. DC delivery vehicles including trust and contract based schemes and master trusts. Profiles of typical DC ‘buyers’ and their different requirements. The role and influence of the major consultants. Sales and marketing /distribution options. Impact of the charging cap and potential future changes to it. Requirement (costs, resources, partnerships) for delivery and implementation. Business case – Market analysis, profitability forecasts, alternative options. Competitor analysis – Existing and potential future master trust providers, product features, strengths and weaknesses. Administration options – In-house or outsource. Investment approach – Off the shelf or in-house fiduciary managed funds, lifestyle or target date funds. Governance requirements – Independent trustee requirements, roles and specifications, individual or corporate trustees. Assurance Framework and PQM Ready requirements – Summary of details, initial review cross check. Contents of Trust Deed and Rules – Drafting of high level specification/requirements, review of initial draft against requirements. Member communications – Drafting and strategy. Post retirement provision – what post-retirement benefits should be offered from within the scheme. Project managemen t – required steps for implementation, oversight of progress. Sales and marketing programme – Drafting and strategy. We fully reviewed the capabilities of an existing in-house administration team and made recommendations for changes to the internal processes and relevant staffing in order to maximise the efficiency of the team. We then thoroughly appraised the major outsourced administration providers in the market place and negotiated very competitive ‘best offer’ terms. We presented our findings both to the company and its trustees, ultimately leading to a very successful outsourcing of scheme administration, with transferring staff and trustees all happy with the outcome. We worked with a DC scheme to consider their options as to how they might offer the new pension flexibilities to their members. This included whether they should be offered from within the scheme or from an external provider. To do this we considered in detail what the options were and, following a membership analysis , why they would be attractive to certain types of member. We then looked at the practical implications of offering the options through the scheme on areas such as tax, payroll, member communication, administration, investment and death benefits. We then compared this with the implications of selecting a ‘preferred’ provider to offer ‘at retirement’ options, including the different types of ‘product’ (master trust and self-invested personal pensions), the criteria that could be used to select a provider, how they could be subsequently monitored and the legal position of the trustees in making what could be perceived as a recommendation to members. This was far from an easy decision with clear advantages and disadvantages to each approach, but the specific position and history of the scheme together with our practical DC experience and knowledge of what members generally want lead to a clear decision to select a preferred provider. We then assisted the scheme to select a suitable provider and implement to the new processes including fully revising the approach to member communications in the years leading up to retirement. We have great experience in this area, covering the whole merger process of many different scheme types. In one case, we produced and presented a feasibility study and business case to get the appropriate approvals from the Board. We then developed proposals for the trustees and company representatives (including those from HR and Finance), before helping with the formal negotiation of merger terms, effectively acting as facilitators between the company and trustees. We also produced detailed communications to members (from the company and trustees) explaining the rationale and benefits of the changes, leading to a successful merger of the two schemes and predicted cost savings. We’ve worked with FTSE 100 employers, and many smaller employers, on auto-enrolment implementation and re-enrolment projects. 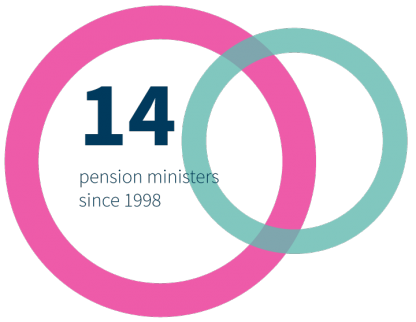 For example, we have guided employers through the auto-enrolment requirements and the implementation process. We pulled together employee data from multiple payroll sources, assessed the predicted costs based on various contribution schedules and possible take-up rates, and helped to develop pension scheme design. 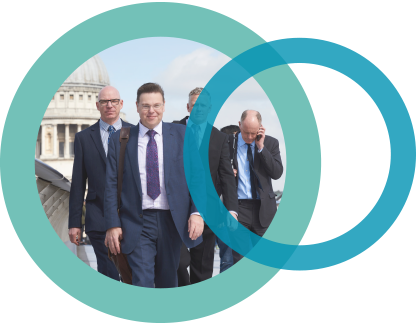 We then co-ordinated implementation activity across the trustee, pension providers, HR, payroll, finance, pensions administrators, systems suppliers and other third-parties. Finally, we helped produce employee communications for consultation and auto-enrolment purposes.